Categories: Astrology in History and Evolutionary Astrology. Tags: donald trump and Venus retrograde. MSNBC’s Rachel Maddow presented with a bit too much hype our first glimpse at some of Donald Trump’s tax returns. It is no accident that this fleeting glimpse occurred during a rare Venus retrograde into the masculine sign of Aries. It is amusing that a woman (Maddow) revealed the tax returns of someone who fancies himself ultra-masculine and strong (Trump) during such a retrograde. It is very possible, in fact likely, that Trump leaked a tiny portion of his returns during a year that he actually paid some taxes as another distraction technique. Still it all happened during the retrograde of the planet ruling money. 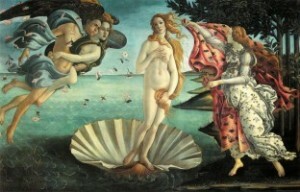 Venus holds the purse strings of the Zodiac. Her domain is money, creativity and sexuality. During a retrograde period we should go inside ourselves and find where we need to correct areas that planet rules, with which we are unhappy or are causing you issues in your life. If people are not shall we say enlightened, a retrograde can be a bad time, because secrets that we don’t want to face come to the surface. If Trump did release those returns he may have done it to distract from a larger issues but it did come back to bite him later. During retrogrades, we need to take stock, review what is no longer working and plan new routes of action. On the other hand, secrets that we don’t want know can come out and make us face the music. It is up to us how we use and work the retrograded action. It can be a time or renewal or fear – as usual, it is all up to us.